As with all applications on Facebook, it is good to note that fan pages are much different than personal profiles. It is also important to also be aware that you need to have a profile as an administrator on a fan page to add most applications as well. Adding YouTube to your fan page is easy to do as long as you are an administrator of your fan page with your attached profile. As with all social media, updates and changes are constantly being made to either fix bugs and/or to create a more user friendly environment. For this reason, it is important that you stay current on what does and does not still work when dealing with apps and tabs on Facebook. In March, we were all happy or dismayed with the changes implemented by Facebook in regards to the new timeline feature. Other aspects of Facebook changed as well and many otherwise useful apps became outdated. From landing pages to YouTube, things are and continue to change. Since we first made reference to YouTube connecting with Facebook, many new options for connecting have been developed, though the Involver Tab is still considered one of the best and is free. To use this tab, simply login into Facebook and choose the YouTubeApp from Involve, you can find it here: http://apps.facebook.com/involver_appjgeph/ and choose to install it. If you have never used the app before, you will be asked to enter your company name and phone number and accept the terms of service. If you manage more than one fanpage, all you have to do after this first time is to add it to a new page from your already added apps and edit the user/channel name to fit your current fanpage you are editing. You will be asked to continue as yourself as a page administrator and will be given the option to add the tab to the fanpage you manage. You can personalize all options including whether to post directly to your wall. All you have to do is fill in the channel name and other options and click ok. As with all Facebook apps, this one will be listed with all other apps on your page once it is installed. You can click on the YouTube for pages icon to edit all the features as you can see in the image below. Many of the new YouTube options come at a cost and have different options and features. Have you tried any of these other apps or have one that is not listed that you have found works well? We welcome your feedback as always. Importing your WordPress or any RSS feed to Facebook is a fast and relatively simple. It is the perfect way for you to share your posts on Facebook as once you add the feed, it not only imports it to your notes, but will automatically post to your wall as well. On the tabs at the top of your Facebook Page, you will see a tab called notes. Notes always update to your wall and it is the same for your RSS as well. Go to the notes tab, if you have not added any notes or RSS feeds yet your page will tell you that you haven’t written any notes and to write a note now. Tip – If you have no notes, you may not see the button that says start importing a feed. The way around this is to post a note. It doesn’t matter what you post as you can simply delete the note afterward. 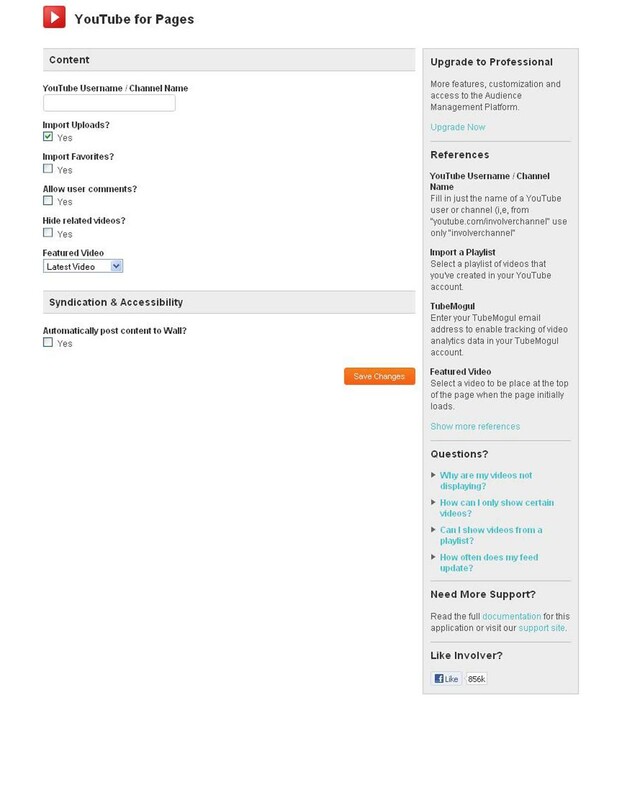 Write your note and hit publish if you don’t see the “Subscribe’” and “Edit import settings” on the left of your screen. Once you have the “Subscribe” option on the bottom left of the screen, click on the “Edit import settings” directly below it. You will see the information on importing your blog as well as a place to enter the URL of your feed. Enter the URL and check the box directly below to confirm that you have the right to reproduce this blogs content and hit the “Start Importing Button”. Please note: The note can take up to 24 hours to post to your Facebook account. As long as you are sure the feed is correct, you may want to double check by making a post that your feed is not working. Some have noticed that even though Facebook says that the feed is not working, it seems to still be posting feed updates to their wall. Just like many other applications linking accounts to Facebook, adding a Flickr Tab is an item of convenience. Not only do you save time by not having to add each picture to Flickr and Facebook, but you increase future productivity. Like Twitter, there are a number of Flickr Tabs and Applications to choose from, but not all work with fan page. This makes actually finding the app that will work for you, the most difficult aspect to adding it at all. I have found that the best Flickr app for Facebook is one known as Flickr Tab. Though it does cost a small yearly fee to upgrade your Flickr account,$10.00, it is a tried and true application that works well. Note: if you are simply adding a Flickr Tab to a personal profile, the $10.00 upgrade will not be necessary, it is only necessary for “pages” in Facebook. The object of having a Flickrtab is to allow your Facebook fans to see all of your pictures from your Flickr account, including updates, without having to actually visit Flickr. 1. If you are an administrator – log into your Facebook profile and choose the page you will be managing from your account settings. 3. Make sure that if you manage more than one Facebook or Flickr account you are on the ones that will be linked. 4. Add the application to your Facebook page by allowing access to Flickr, this can be done without a profile or administrator so you don’t have to be logged in as an administrator for this step, but you will need to be for the next step. 5. If you are not already logged in as an administrator, do so now to complete the link between your accounts. It will ask you for access to your profile information; you must allow access to go any further. * You may also want to be logged into Flickr for simplicity as you will have to go there soon anyway. 6. At this point, you can go back to the Flickr Tab app http://www.facebook.com/flickrtab and add the tab to your page, except now you have to pay $10 to become a VIP member on Flickr to do so. 7. To become a VIP member of Flickr, simply choose “You” from the top tabs, opt for the “your account” option and choose to upgrade to a Pro account. 8. Once you pay to become a VIP member using paypal, the Flickr feed will be added to your Facebook fan page. Your Flickr Tab will update each time you update your Flickr account allowing your fans to see your Flickr Photos from your Facebook page. There are dozens of ways in which you can keep your fans up-to-date on what is going on with your business or organization. The advent of social networking sites and micro-blogging are easy ways to keep people interested and informed on what’s happening and involve the public as well as reaching a broader audience. This is an simple way for you to create a social presence and increase the popularity of your business or organization. By far, the most popular sites that companies use today are Facebook and Twitter. Facebook and Twitter allow your group or product to offer promotions, and interact in a conversational format with fans, thereby creating a visible online presence and effectively advertising for free. The problem with having multiple options for social networking is that administrators would have to update each site individually. In 2009, Facebook announced that they would be making it possible for fan pages to share their updates more easily. By creating an application that allowed administrators to post to Facebook and update Twitter immediately, administrators could now effectively update two social sites with one post, saving significant time and hassle and reaching a wider audience. The time to link your social sites is now. The sooner you can reach more fans at once, the more effective you can make your online presence. Though there are many ways to do this, the following method seems to be the simplest way to link Facebook to Twitter. 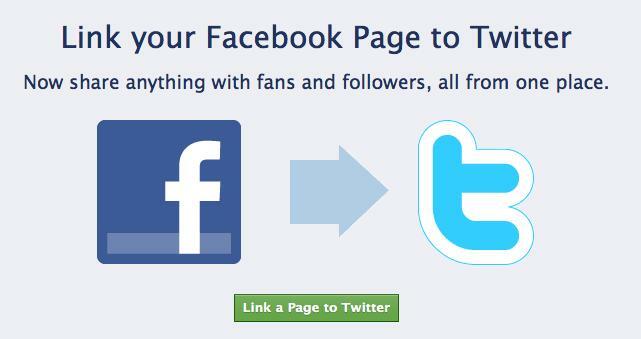 After installing the following application, you will be able to post updates from your Facebook fan page to Twitter automatically. 2.Paste the following url into the browser once you are logged in http://www.facebook.com/twitter/ and hit enter, this will take you to the Facebook to Twitter application. 3.You will see a list of the pages you manage. 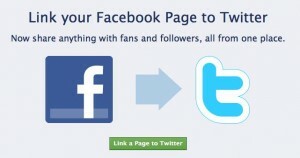 If you are an administrator of the page, you may now begin the process of linking Facebook to Twitter. Note:If you are not an administrator, you must log into the fan page you are planning to link and make yourself an administrator. Once you do this, you may log out of the fan page and log in as yourself. Then you would complete step two. 4.After you have made it to this step, you must click on the “Link to Twitter” box next to the page you are planning on managing. 5.The page automatically redirects you to Twitter where you can enter your login information for Twitter. 6. Fill in the information and click “Allow”. After a few moments, you will be redirected back to Facebook, where you can now edit your settings. A word of caution – be sure when editing fan pages that you manage that you click on account and choose the page to manage to keep your profile separate from your fan pages.